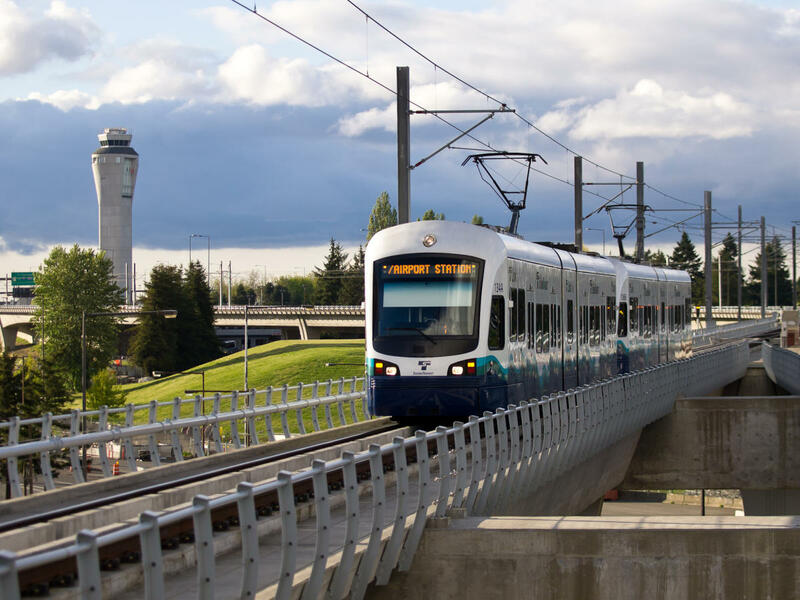 With 15 stops total, the Link Light Rail stretches 17.5 miles, serving some of the most popular destinations in Central Puget Sound. It is extremely budget-friendly and convenient when traveling to and from Sea-Tac Airport to Downtown Seattle and on to the University of Washington. 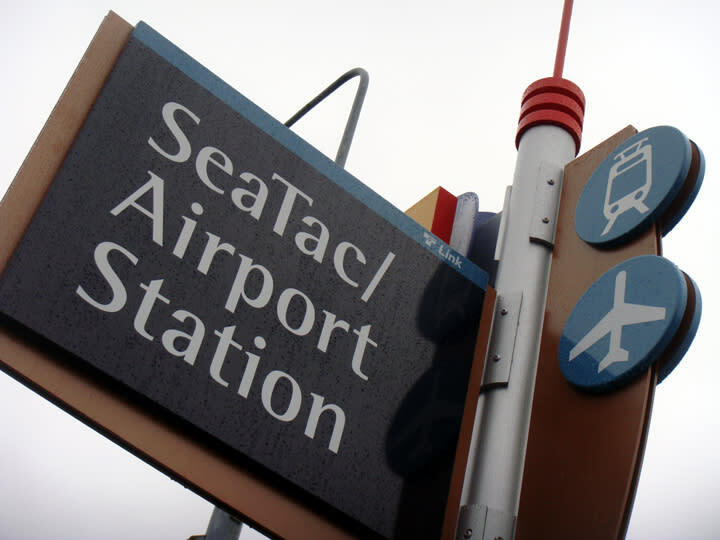 The SeaTac/Airport Link Light Rail Station connects you directly to and from the Seattle-Tacoma International Airport. There is a drop-off and pick-up zone located at International Blvd and S 176th ST. In Downtown Seattle, the Light Rail brings you right to shopping, the library, government buildings, art centers and jobs. In the SODO District, it takes you near CenturyLink Field for Seahawks football and Sounders FC soccer, and Safeco Field for Mariners baseball. The Rainier Valley and Tukwila stations open a new world of restaurants and shops, and the Rainier Beach Station is near the Chief Sealth bike trail. Thirty five pieces of original artwork give the light rail line the feel of a traveling art gallery. Look for eight cut-metal African ladies dancing in the Othello Station plaza, the 35-foot shovel at Columbia City Station and "Blue Lights Over Duwamish," a series of blue LED lights on the bridge over the Duwamish River.